The ROSS® Poppet valves 21 Series are inline mounted valves designed for either high temperature or low temperature applications. 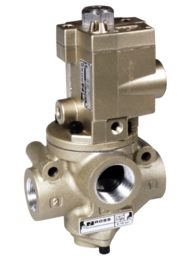 This high flow 2 position valve is available in 2, 3 and 4-way configurations. Choice of internal components provides options for different temperature ranges.